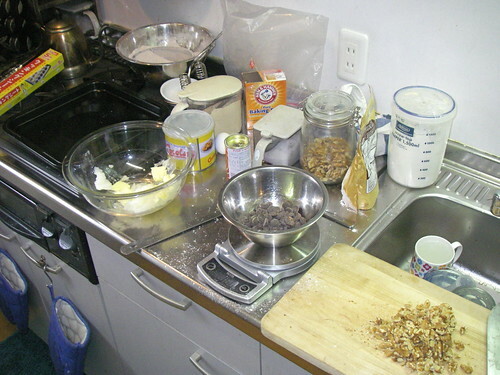 Making cookies. I'm such a good houswife! Really though, what else could I do with a short amount of free time? And it did turn out to be short, and thanks to my stupid tiny Japanese convection oven, which can only take one tray at a time, I only managed half a batch before Shuma woke up, crying even harder than before. But that only meant there was another tray of cookies to bake during the next nap. Yay! And lots to eat. 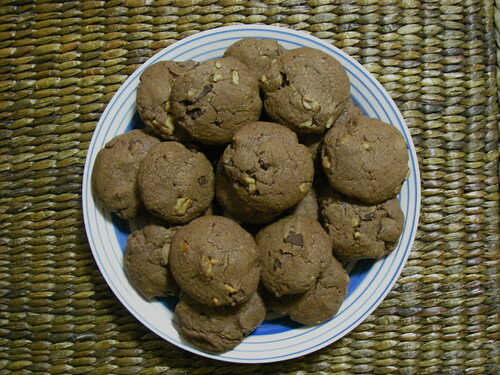 These are double chocolate walnut cookies, and I don't quite have a proper recipe but basically just take your regular chocolate chip cooke recipe, add a tablespoon or so of cocoa powder and some chopped walnuts, and that's it. Very yummy. I love how babies sleep, completely surrendering to it. Shuma is such a cutie! 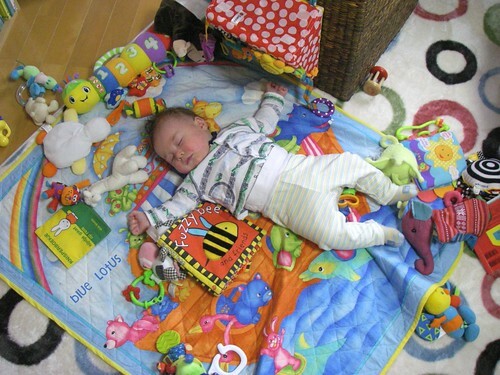 I love your baby's playmat/rug. Really like the soft colours. Baby seem contented with it too. Where did you buy it? Can you get it online? Dream is gorgeous when the fact is unmerciful. Sometimes fate is in we have hors , but we only can't alter it.